Invergordon First Responders is a group made up of local volunteers who provide life saving assistance in emergencies and offer training for businesses, groups and schools in first aid and CPR. 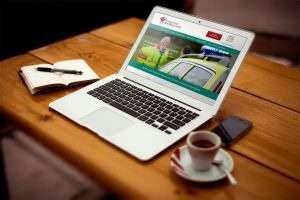 Working with Tina, we have produced a visually striking website to give the public and sponsors more information on the valuable services IFR offer. Tina and the other volunteers have full access to the website so they can make changes whenever they wish and we are glad to see that Tina is very proactive in updating the IFR blog. Visit Invergordon First Responders Website fror more information.